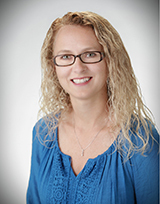 "Heather helped us establish our criteria and focused on properties that met it. Every question we had (water rights, easements, average well depths, and more.) Were promptly answered. Through Heather's efforts papers were signed and the sale processed without drama! Her computer skills enabled us to sign papers from our car as we were driving down the road on a vacation." She monitored the sale all the way and kept things on schedule! "We/I was very satisfied with the services we received from Berkshire. I would recommend your real estate company anytime. Thank you very much."